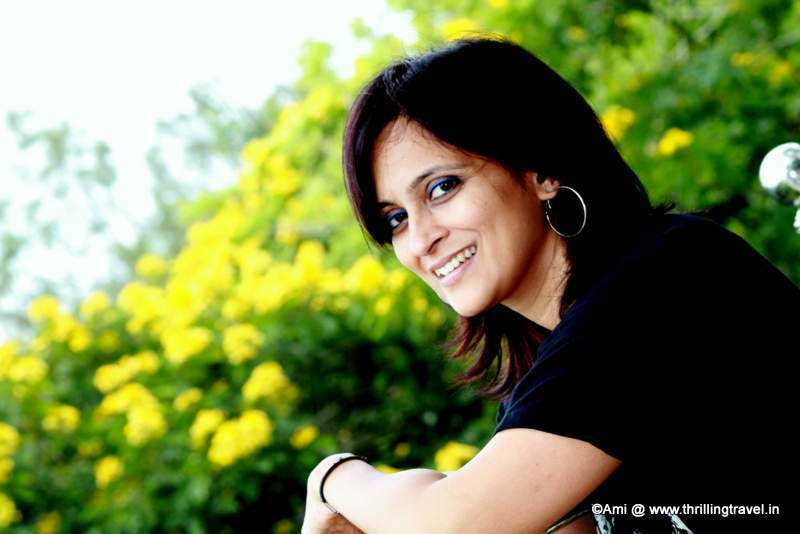 A recent trip to Pune had me visit one of my favorite hill station in Maharashtra. Mahabaleshwar has tons of memories associated with it – a lot dating back to my school and college days. Owing to its proximity to Pune, I have been here umpteen times and each time, the place bowls me over with its green valleys and hills. 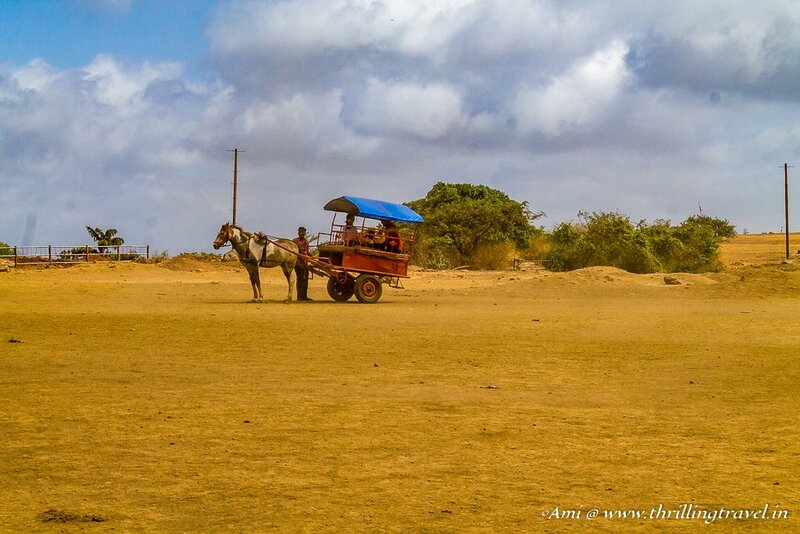 With a great combination of nature, adventure and heritage, there is so much to do here. It is is no wonder that all the hotels in Mahabaleshwar are full every weekend. 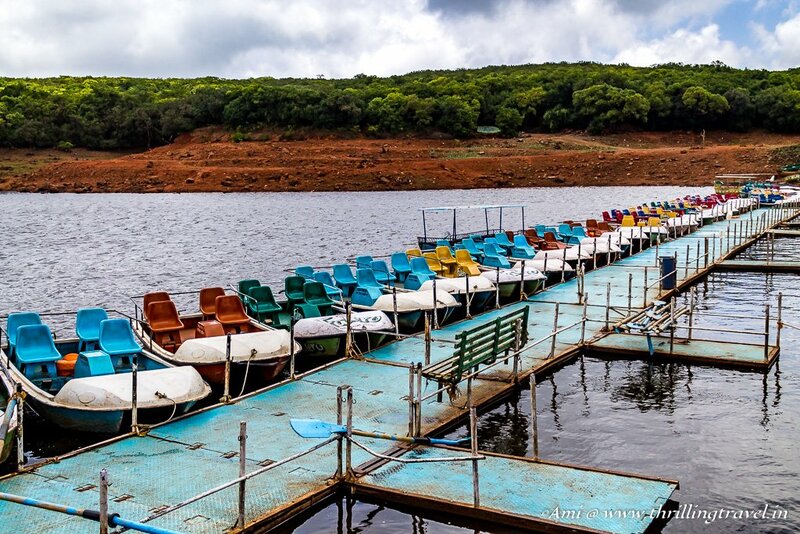 Here are some of my favorite places to visit in Mahabaleshwar. Located along the green Sahayadri range in Maharashtra’s Satara District, Mahabaleshwar is a great weekend trip from Pune and Mumbai. Though it might seem as if it is on a hill, Mahabaleshwar is on a plateau. History records the 1200s as the earliest that this place existed. It is said that the King Singhan of Deogiri found the origin of the 2nd longest river of the Indian Peninsula – River Krishna. He built a temple around it. Over time, the rule of the land changed hands. The famous Chhatrapati Shivaji built a famous fort here in the 1650s and later, it came under the rule of British. They found the place so charming and cool, that they made Mahabaleshwar the Summer Capital of Bombay Province. As you explore the various Mahabaleshwar places, you will find several of them have been in fact, named after the British officers. 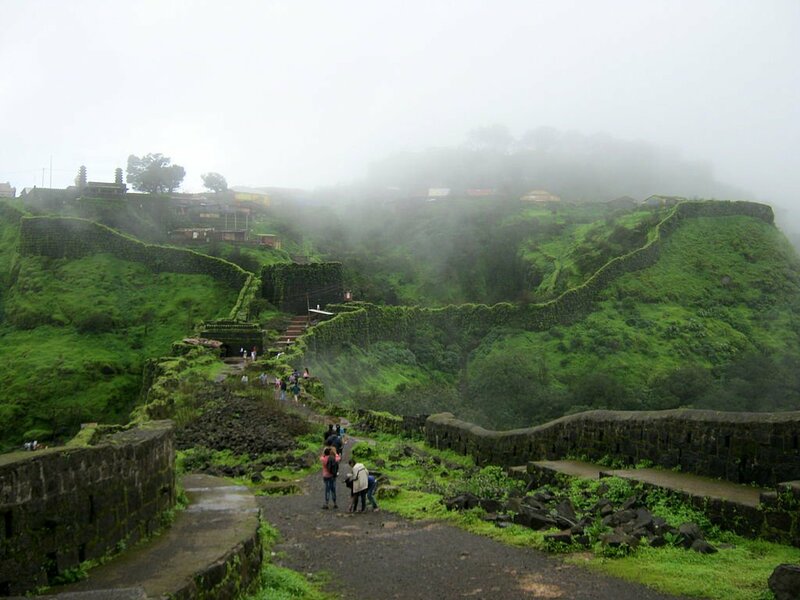 One of the most memorable of all the places in Mahabaleshwar is the Pratapgad fort. Built at a vantage point to protect his land around River Koyna, this fort was made by Shivaji under the expert guidance of his Prime Minister Moropant Pingale. The fort has been a witness to many of his epic battles – the most famous being the one with Afzal Khan of Bijapur. It is here that the tyrant was killed. In fact, they say his head is buried under the still-erect watchtower. Though in ruins now, one can still see the vestiges of the Fort’s magnificence. You can see large bastions and walls in the lower fort while the upper fort has some of the other buildings and a Temple dedicated to Lord Mahadev. One of the most important and unmissable parts of Pratapgad is the Temple of Bhawani Devi. This temple has the Goddess Durga as the principal deity. Also, located within the temple is a diamond-studded sword of a Maratha General Hambirao Mohite. The six diamonds on it are a representation of his bravery of having killed 600 soldiers in a war. 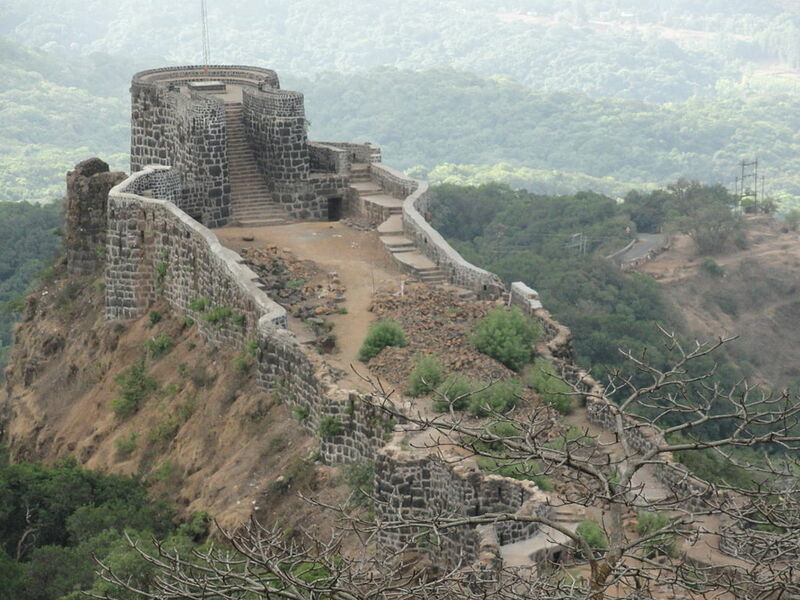 Pratapgad is not only great for heritage lovers but is amazing for adventurers. You can opt for hiking or rock climbing activities to this fort. Pancha means “Five”. If you had to literally translate the name, it means “Five Gangas”. The Gangas actually refer to 5 rivers that originate at a single point. River Krishna, Koyna, Savitri, Gayatri and Venna. The most astonishing part of this origin is that the 5 water streams flow through 5 grooves and fall into the mouth of a stone cow before dissipating. The temple built here has a beautiful idol of Lord Krishna. Dedicated to Krishna, this temple is said to be the point where the River Krishna falls off a cliff. I have visited this only once but would love to go again – purely to capture the scintillating view of the Krishna Valley from the temple. This temple has a Swayambhu Linga (Linga that self-appears). 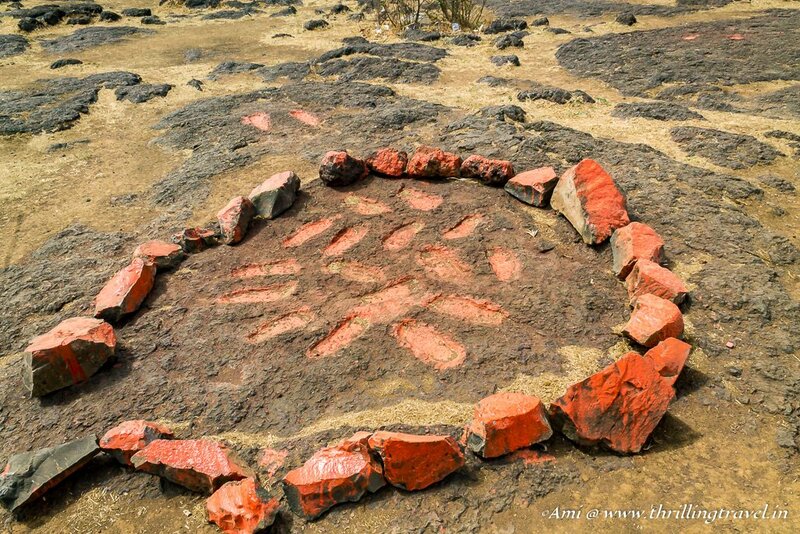 A bed, damru (Pellet drum) and Trishul (3-pronged weapon) lie within it and these are said to be over 300 years old. They are said to belong to Lord Shiva himself. If local folklore is to be believed, then Lord Shiva is said to visit here every day for the bedsheet of this bed is crumpled as if someone has spent a night here. 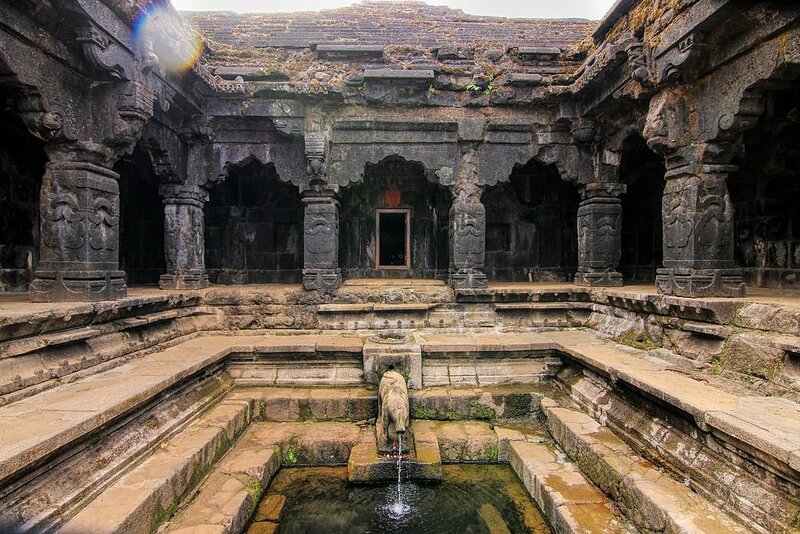 This temple was where Shivaji weighed his mother Jijabai in gold and distributed the wealth to his subjects. Read about the home of Shivaji and his mother in Pune. The Lal Mahal that is being rebuilt. 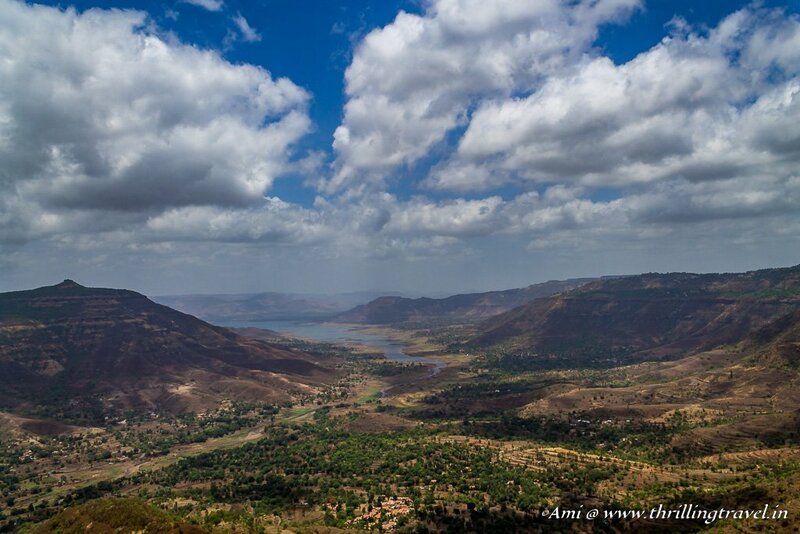 One of the key things to do in Mahabaleshwar is to visit its vantage points. They allow you to take in the beauty of the nature around them. 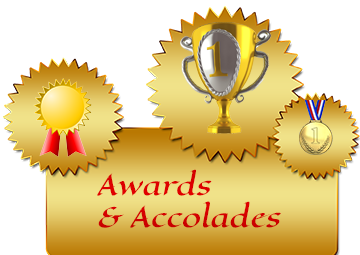 Each point has a specific angle that makes them a perfect backdrop for your memories. A lot of them are named after British officials who spent a considerable amount of time at the location. 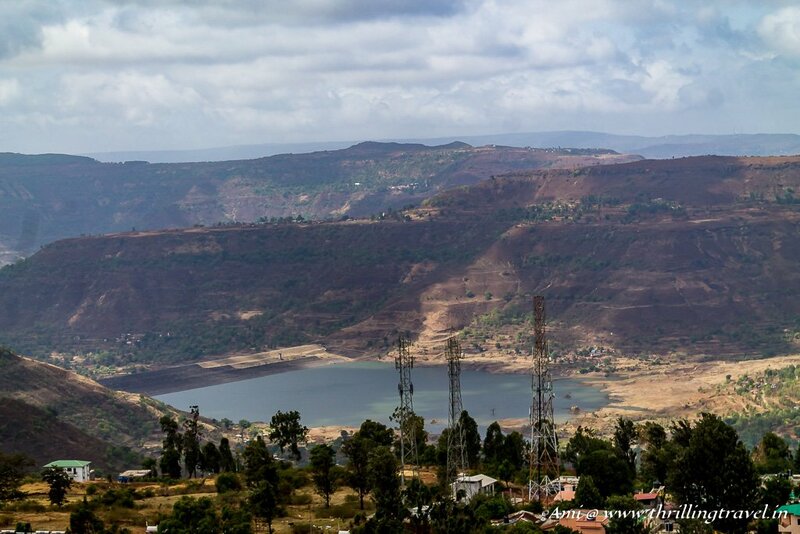 Here is a list of the Mahabaleshwar Points that you should consider. Arthur’s Seat – Named after a British officer – Sir Arthur Malet, this is considered to be the Queen of all Mahabaleshwar Points. At this point, you can see two distinct valleys – One belonging to Deccan and the other being Konkan. The two are easily discernable with their distinct rock formations and vegetation. You can even see the lovely River Savitri from here. Sir Arthur visited this point every day to look at this very river. His wife and 3-month daughter were lost in it owing to a boat mishap. Kate’s Point – Named after the daughter of the British Governor Sir John Malcolm, the point overlooks three other points – the Echo Point and Needle Point. You can even see the Balkavadi Dam, Kamalgarh Fort and Dhom Dam. It seems that the lady loved sitting here and painting the landscape. Lodwick Point – A British General Lodwick was the first to climb the hill here and hence, what used to by Sydney point is now called Lodwick Point. A memorial for the general marks the spot and from here, you can see the Elephant’s head point as well as Pratapgad fort. Wilson Point – This is the best vantage point to get a 360 view of Mahabaleshwar. It is also,the place where you can see both – the sunrise and sunset. The highest point of Mahabaleshwar, this was named after the British Governor of Bombay – Sir Wilson. The place has three towers that allow you three different angles of Mahabaleshwar. The first one faces east and is ideal to gaze out at the Polo Grounds. 2nd Tower offers you a view of Panchgani while the third faces what is termed as Old Mahabaleshwar with its epic temples. Elephant’s head point – Considered to be the most scenic of all points, this one is also, termed as Needlepoint. The rock formation here is like that of an elephant’s head and trunk. Since it has a hole between the rocks, it looks to some as if it were a needle’s eye. 3 Monkeys Point – 3 monkeys sitting next to each other every day, any time! How is it possible? Well, the three are actually stones that look like monkeys. Hence, the name of the point. Babington Point – This is a Birder’s delight. Besides the colorful winged beauties, you can also, see the lovely Koyna Valley with Chinaman Falls. 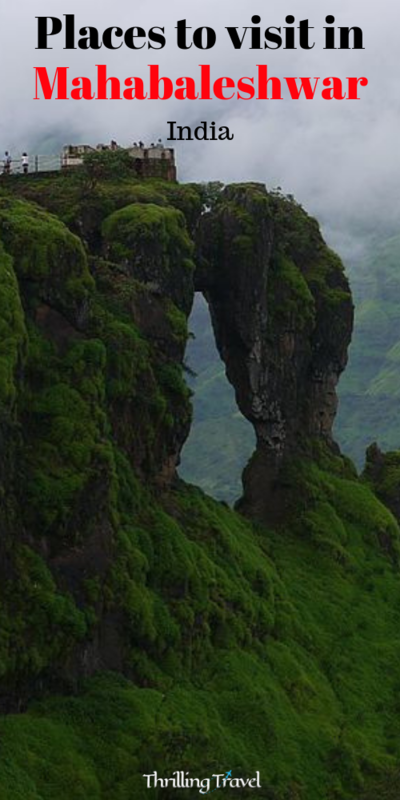 There are plenty of other interesting Mahabaleshwar tourist points that you should add to your list if time permits. Helen’s point, Falkland point, Rosamund rock etc are some names to note. Even though it is crowded, it still has a serene beauty. Somehow my visits to Mahabaleshwar are never complete without a brief stop here. It is a place for some idyllic boating and fun. I have always loved buying some corn and sitting in a quiet corner to gaze at the pool of blue in front of me. Given that it is the center of the hill station, it is not surprising to find a lot of hotels in Mahabaleshwar clustered around this area. Go after monsoons and you will be thrilled by the cascading water of the Lingamala waterfalls. If you are lucky enough, you can spot some lovely wildlife like the Giant Squirrels around here. The water of these falls feeds into Venna lake. Technically this falls in the lovely hill station of Panchgani before Mahabaleshwar. However, given its proximity, I would add it to my pick of must-visit places when in Mahabaleshwar. Tableland is your destination. As the name suggests, it is a flat land where it is difficult to know where it ends. In fact, they say that it is the 2nd largest mountain plateau of Asia. Legend has it that the Pandavas stopped here and hid in the caves called Devil’s kitchen. You can not only visit these caves but also, spot what people say are their footprints. 85% of India’s strawberry comes from Mahabaleshwar and its surrounding region. Come March, there is a strawberry festival held here. You can visit the many farms around the place and indulge in some strawberry picking. Even if you are not here during the season, you must pay a visit to the Mapro farms. From giant strawberry sundaes to unique strawberry sandwiches, this place will appeal to the foodie within you. One of the things that I loved about my visits to Mahabaleshwar was an idyllic stroll through its market. From jellies to jams and sweets, the food stalls have tons of goodies to take back home. Adding to the fun are the beautiful leather and non-leather footwear stalls. I have always found some trendy wear here that has got me compliments in dozens. The whole small town market atmosphere itself is an enjoyable experience – one that brings back the nostalgia of the past. Mahabaleshwar is great in most months except for monsoons. The heavy downpour almost brings life to a halt in the town and it is best to avoid going in the months of July and August. Road is the only way to directly reach Mahabaleshwar. It is 120 km from Pune and 240 from Mumbai. The closest airport to Mahabaleshwar is in Pune while the closest railway station would be Satara. How fun to be able to find such a beautiful location that you love and can return to over and over again. I also have one of those from my school days. I had no idea that 85% of India’s strawberries come from Mahabaleshwar! I love strawberries and would love to be able to attend the festival some day. There’s nothing better than being able to pick your own fruit! This is amazing! I would love to visit all the points! This was an incredibly informative and well written article, about a place in India that I had no idea existed! Also, strawberries are my favorite fruit in the world…I definitely need to attend the festival! This beautiful place seems deep in history, I am going to have to dig into the British and Indian sections before I visit! Considering that it is so close to the key metros, you should plan to visit it when here. And no doubt, strawberry season would be ideal. Very useful post. Hope someday will visit Mahabaleshwar. Thank you Rupam. I hope you visit it soon. 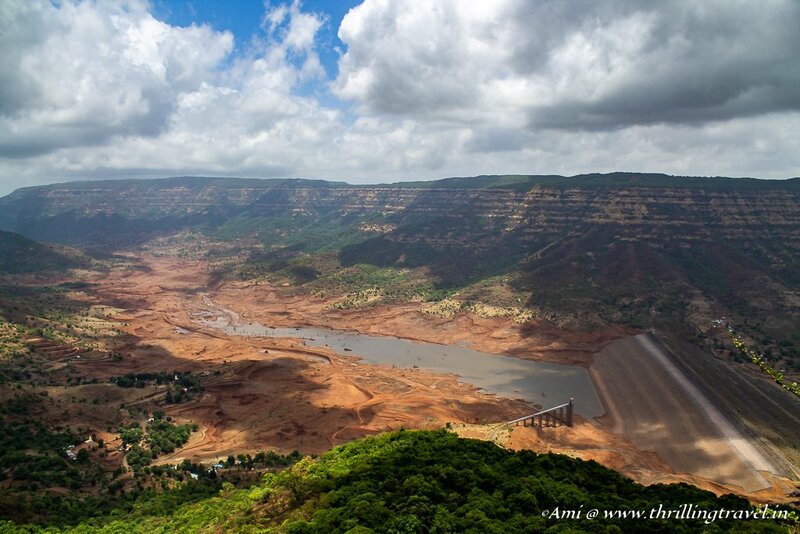 A great post with plenty of information to help anyone planning a trip to Mahabaleshwar. The view from Mahabaleshwar point looks amazing and a good suggestion to visit the locals market. Thank you Laura. The local markets here have this strange aura that is very delightful. I give it more than one thumbs up. What a brilliant post and shares so much more information about what there is to see around Mahabaleshwar. I only thought of it as a small get away and a hill station but there is so much to see and do. Love the temples and the architecture which I was not aware about . So accessible from Pune that a no brainier to spend a weekend and enjoy the greenery and beauty of this place. 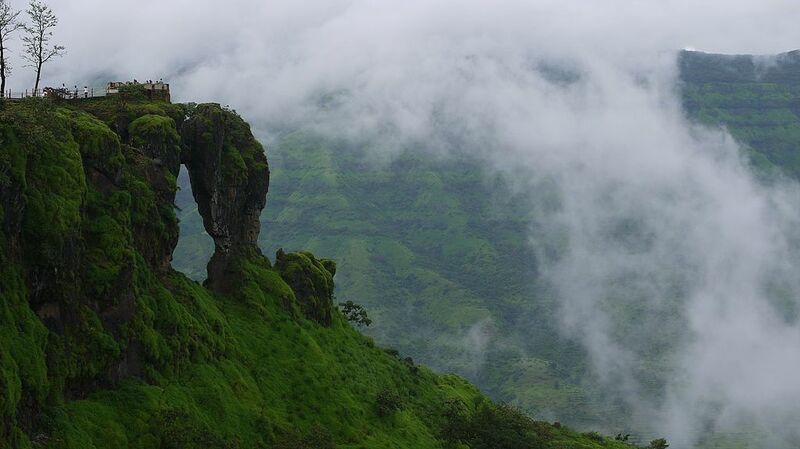 Mahabaleshwar is one of the go-to places for the people of Mumbai and Pune for a quick vacation. Each time you visit the place, you start liking it even more. So true, it grows on you with every visit. Thanks for stopping by Mark. A very helpful guide. This puts everything in and around Mahabaleshwar into perspective. I have always seen those misty pictures of the place but never read anything so comprehensive. I have always been putting off my plans to Mahabaleshwar because I did not actually know what to see there except the mountains. But this gives me so much more. That temple looks absolutely beautiful. More than anything else, you will find it relaxing. Don’t wait any longer. Get to the place soon. Mahabaleswar is indeed magical. I narrowly missed visiting here when I was in Mumbai. I hope I’ll be able to visit Mahabaleswar, Khandala etc soon. The fort looks spectacular. I’d love to do some hiking too. this places is amazing.I loved to be back here again n again. so detailed post with so many places to explore at mahableshwar. 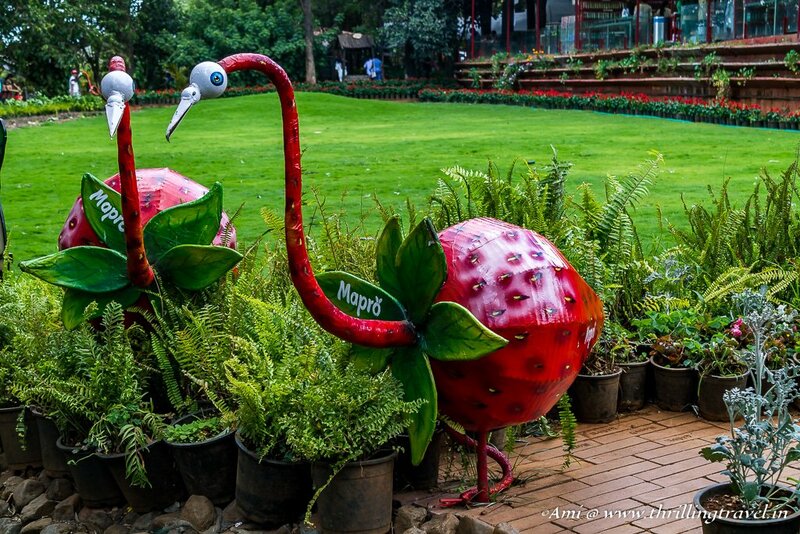 Mapro gardens make a great day outing too from Pune. Next time you are there, don’t miss it. 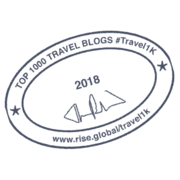 I love that you include a wide variety of sites and experiences in Mahabaleshwar. On top of my list would be that view, the fort, many of the temples and the lake. Each site looks so beautiful and serene. Thanks for the travel inspiration! Oh my god, the views! the mountains! Now I want to check this area out, I am a sucker for beautiful places set in beautiful locations. Every place here looks amazing. How long would you recommend staying in the region? Mahabaleshwar has such gorgeous views and landscape. It’s no wonder you like to visit there often! It is so so therapeutic. And mostly like you said, for its views. Breathtaking Ami. What an inspired place. Looks out of this world, Mahabaleshwar does. Fabulous post. I guess we all take it for granted given its proximity to the key cities. Am glad though that I wrote about it now. Breathtaking captures with some interesting folk tales and stories. The temple architecture looks absolutely stunning and the view is breathtaking.Hope to cover these places of interest soon. The elephant’s head point is such a beauty. It really gets me happy and excited to see lush green sceneries. Can’t help but appreciate nature at its finest. Would definitely love to visit this place someday including the temples. Reading its history just made me more excited. Thank you so much for sharing! Such a thorough and complete guide to this beautiful and religiously important area. The architecture and views are stunning. I love the concept of a strawberry sandwich…sounds pretty intriguing. How is it prepared? That might be reason enough for me to visit Pune just for the experience. Great guide. The Strawberry sandwich is made with fresh preserve and strawberries – alittle different from the jam but yummy. Hope you can try it for yourself. Absolutely, Mahabaleshwar is good place to visit. Glad you feel that too. I’m already in love with the views from Kate’s Point! So gorgeous! Certainly wouldn’t mind spending my time there! What an informative post. I’d love to be able to visit the of ‘Summer Capital of Bombay.’ It really does look as if it’s on a scenic hill – crazy that it’s a plateau. I’ve been to a hill station north of Delhi and loved it, so this is right up my alley. You will find the green here different from the North of India. That itself will be a different experience for you. I spent one month in India last year and vowed that I’d come back for six months one day. Nevertheless, I continue to find places unbeknownst to me- like Mahabaleshwar- that I’d love to explore. There simply is not enough time to properly get to know India! Trust me, staying here, I feel the same too. A lifetime here may not be enough. What a gorgeous area and so much to see. Arthur Malet must have been a pretty poplar fella. There is an Arthur’s Seat in Scotland and one in Australia that I know of. I love the ruins in different places and the Strawberry Festival sounds like a fantastic place to be.